TiECon Ahmedabad will be held on 4th March 2017 at IIM Ahmedabad. Last year, eChai Ventures led the Startup StarTrek program as part of TiECon Ahmedabad 2016 to identify most promising startups from all over Gujarat. As part of the TiECon Ahmedabad 2017 – we’ll be hosting the TiECon PowerPitches – powered by eChai across 9 cities in Gujarat on 25th Feb, Saturday. * TiECon PowerPitches – powered by eChai, aims to discover and showcase most promising tech product startups from all over Gujarat. * TiECon PowerPitches will be held on 25th February, Saturday in 9 major cities of Gujarat – Ahmedabad, Vadodara Surat, Rajkot, Bharuch, Bhavnagar, Bhuj, Gandhinagar and Anand. * TiECon PowerPitches will be held at GLS University from 6.30 pm to 8.30 pm. * Each TiECon PowerPitch program will have 10 promising startups from each city showcasing their venture in front of the jury. * One winner will be selected from each City. 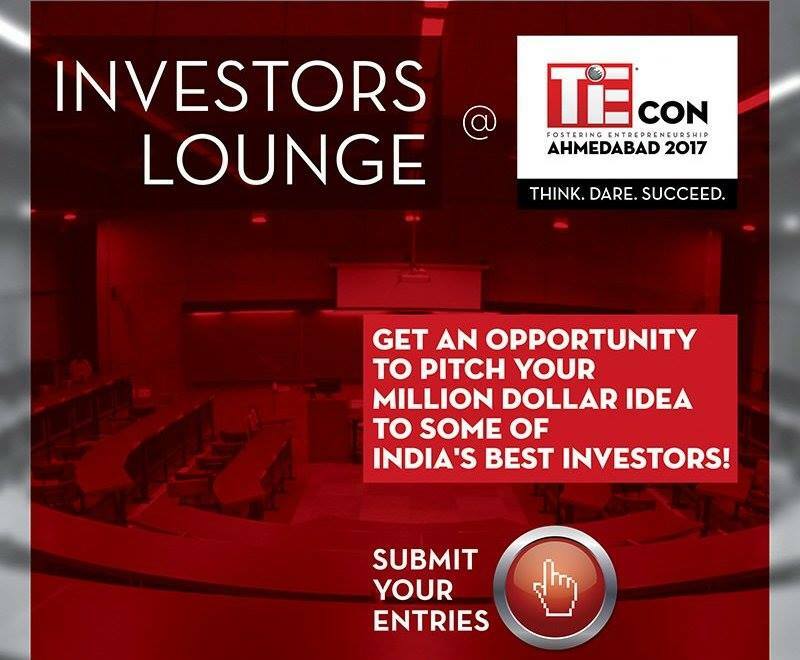 The city winners will be part of the final pool of startups for TiECon Ahmedabad Investor Lounge at IIM Ahmedabad on 4th March 2017. Also on 23rd feb, Wedneday – they’ll be hosting the #TiEConAhm TwitterPitch with awesome founder who’ll be showcasing their ventures. You can also join them there to showcase your venture at #TiEConAhm TwitterPitch. For more information contact Jatin Chaudhary, Salesman, eChai Ventures at jatin@eChai.in or 08238968939.